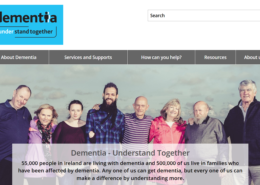 Here is a wide range of useful websites and resources from both Ireland and abroad, for Health and Social Care Professionals who work regularly with people with dementia. 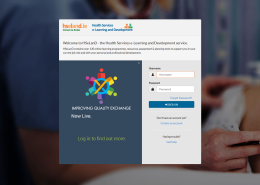 HSeLanD is the Health Services e-Learning and Development service and contains over 130 online learning programmes, resources, assessment & planning tools. 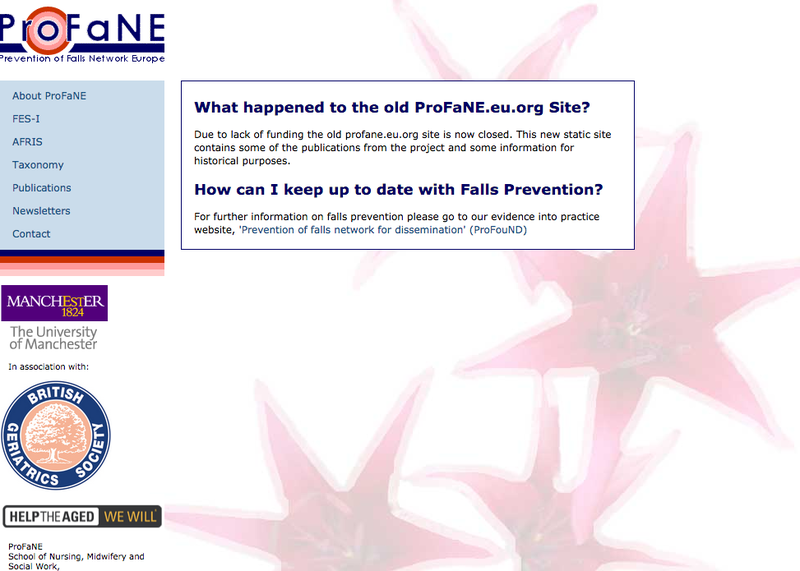 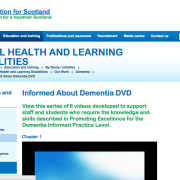 The Early Identification of Memory Problems in the Older Person e learning Programme is a short online course which introduces participants to the experience of those with memory problems. 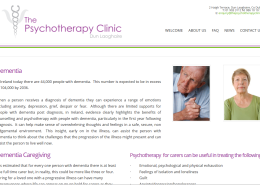 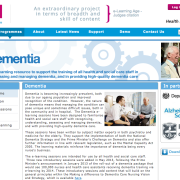 The programme adopts a person-centred approach to care, highlighting the need to plan care with the maximum possible participation of the person with memory problems and his or her significant others. 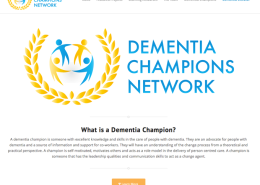 This is achieved by emphasizing that assessment and care should be aimed at identifying a person’s strengths and capacities to maintain independence and self-determination for as long as possible. 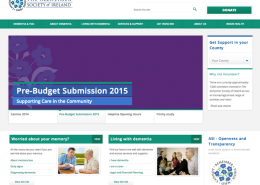 Students can access the programme online through the HSE land portal. 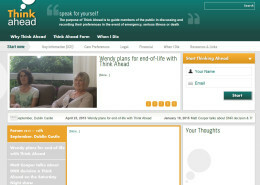 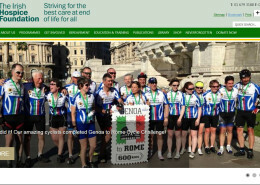 Log onto www.hseland.ie . 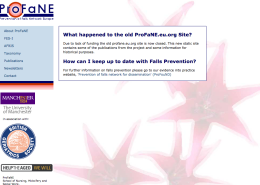 If you have not registered before, you will be asked to do this. 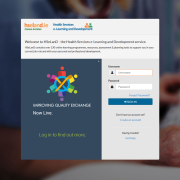 When you have successfully logged in, enter the term early, into the search box which is visible on the mylearning section. 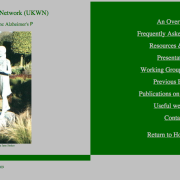 You will be presented with the option to take the relevant programme. 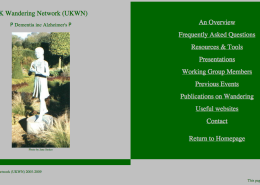 Programme duration is approximately one hour. 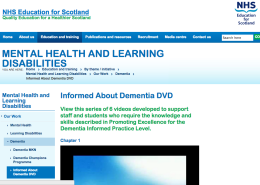 For more information about the course see here. 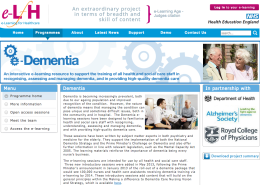 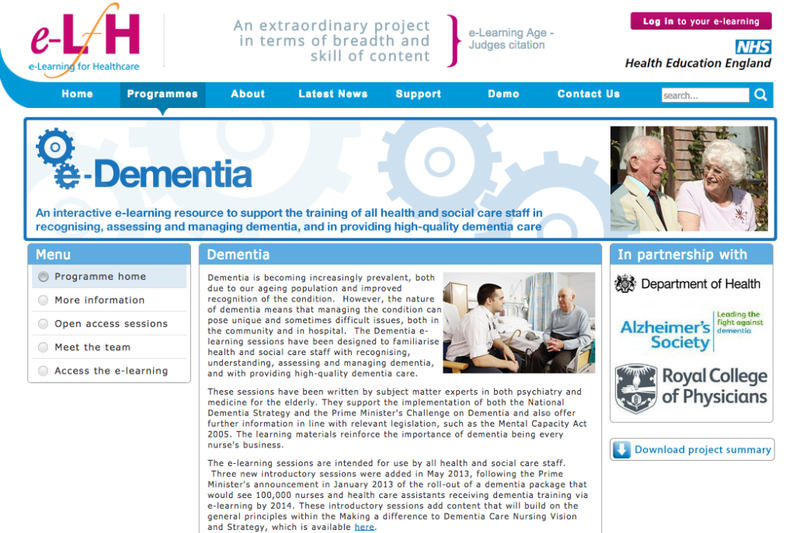 An interactive e-learning resource to support the training of all health and social care staff in recognising, assessing and managing dementia, and in providing high quality dementia care. 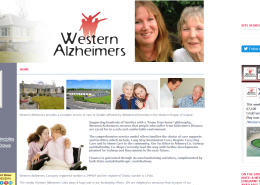 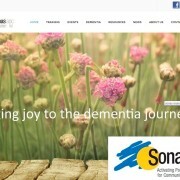 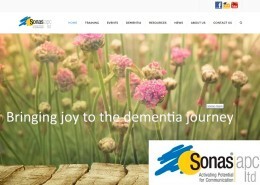 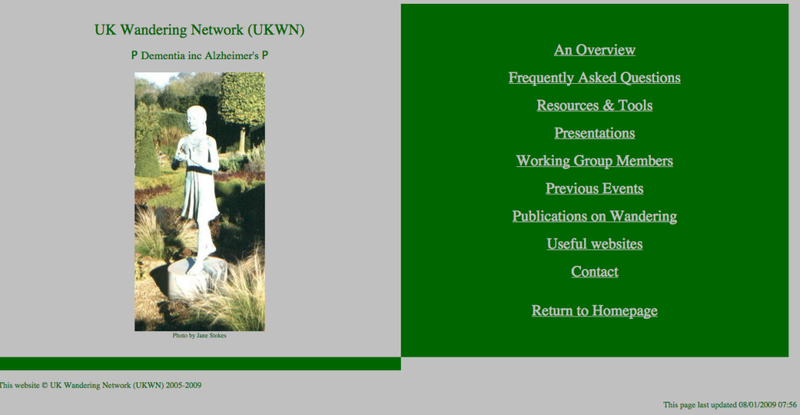 Resources, tools and presentations related to wandering and dementia. 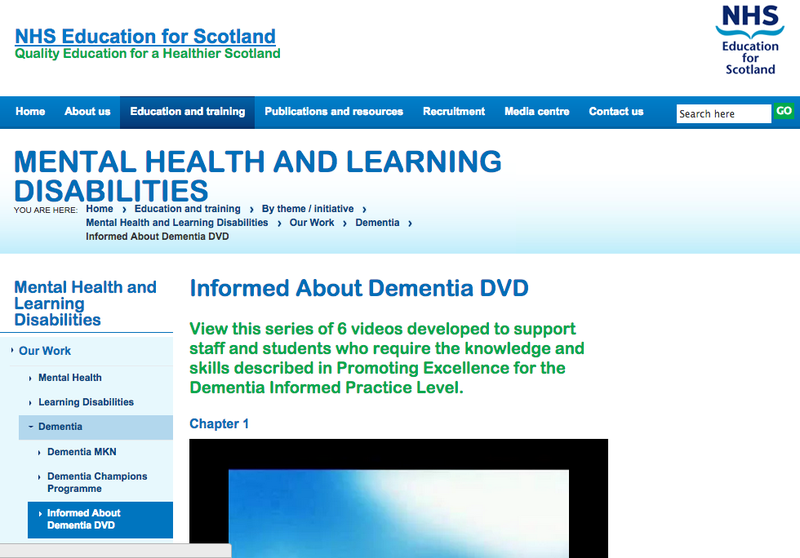 View this series of 6 videos developed to support staff and students who require the knowledge and skills described in Promoting Excellence for the Dementia Informed Practice Level. 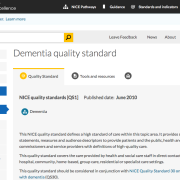 This NICE quality standard defines a high standard of care within this topic area. 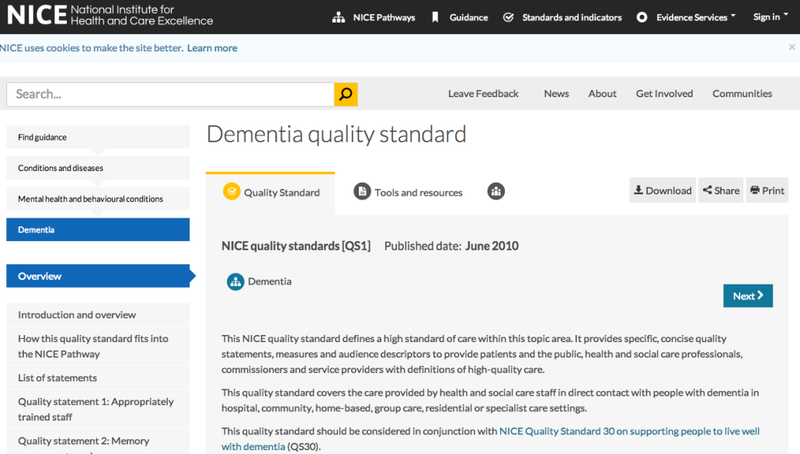 It provides specific, concise quality statements, measures and audience descriptors to provide patients and the public, health and social care professionals, commissioners and service providers with definitions of high-quality care. 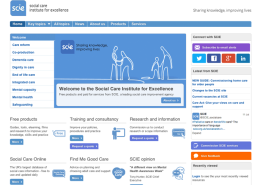 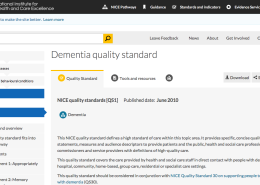 This quality standard covers the care provided by health and social care staff in direct contact with people with dementia in hospital, community, home-based, group care, residential or specialist care settings. 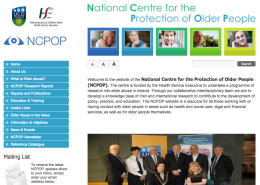 The National Centre for the Protection of Older People (NCPOP) is funded by the Health Service Executive to undertake a programme of research into elder abuse in Ireland. 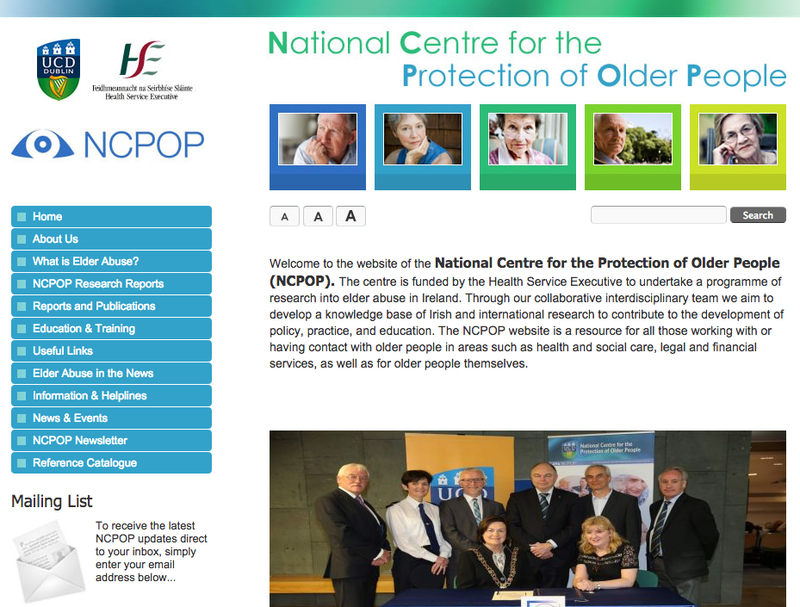 Through our collaborative interdisciplinary team we aim to develop a knowledge base of Irish and international research to contribute to the development of policy, practice, and education. 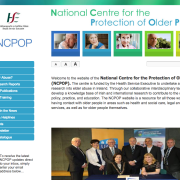 The NCPOP website is a resource for all those working with or having contact with older people in areas such as health and social care, legal and financial services, as well as for older people themselves.